“This device is a bottle boat that is powered by an ATMega1284 microcontroller, two DC motors, bluetooth control, a water level sensor, and an L293D motor driver. Another microcontroller may be used and will have many code differences. The body of the boat is made with household or recycled supplies that include ocean spray juice bottles, pencils, tape, hot glue, and a tupperware container. 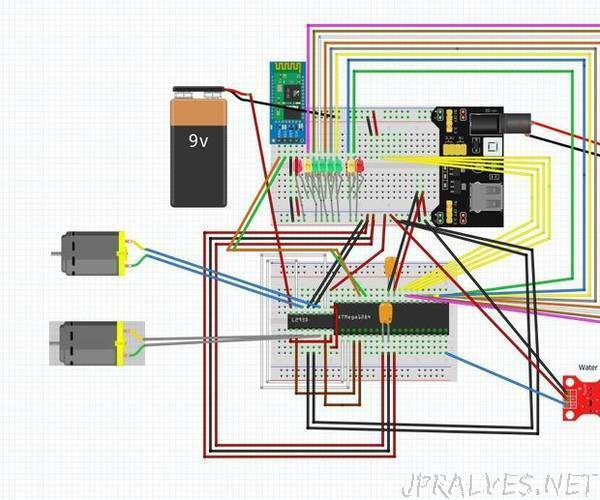 Also to note: this tutorial will be made under the assumption that you know how to program your microcontroller already.